Join us for a carefully curated, intimate retreat exploring the vibrant culture and traditions of Oaxaca. 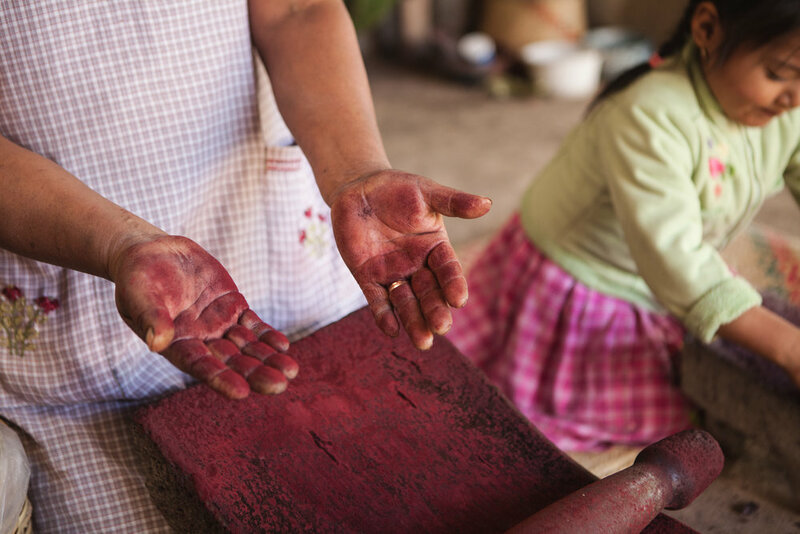 We will experience hands-on ancestral craft workshops while nourishing our body, mind and spirit in connection with Zapotec and Mixtec communities and lands. For those seeking an authentic, educational, and immersive experience, we offer a unique opportunity to connect with, learn from, and share with locals in Oaxaca’s artisan communities. We believe in experiential education and purposeful reflection. This is an immersive educational experience—a unique opportunity to explore the cultural depth and traditions of this region in a thoughtful and respectful manner. Our retreat includes time for individual and group reflection, and opportunities to engage in conversations with local academics, advocates, and community leaders. We believe that this form of educational immersion encourages mutual respect and understanding for new cultures. Our retreats foster authentic, equitable, and respectful cultural exchange with a goal of promoting friendship and learning across cultures and countries. We encourage the exchange of ideas and experiences that respect and nurture local cultures and communities. We believe that in order for true exchange to occur, we must also consider what we can contribute and share with the local community. Community is at the heart of everything we do. 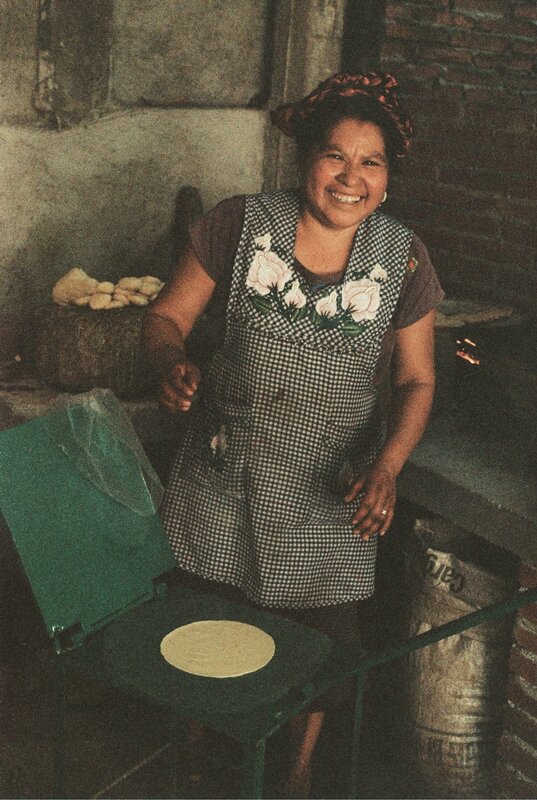 We work directly with local Zapotec and Mixtec communities in the Valles Centrales of Oaxaca. We collaborate with incredible local leaders and activists who are working hard to preserve their craft, culture, and identity while maintaining a sustainable, and spiritual connection with the land. We aim to empower local communities by reinvesting a portion of all profits from our retreats into collaborative community-based projects and educational initiatives. These projects foster autonomy, reciprocity, and community-based development. We have worked with the same families, cooperatives, and communities for the past four years to create sustainable, inclusive, long-term relationships. Once our guests return home, their contributions continue to fund and support community-based projects and educational initiatives. * A $500 non-refundable deposit is required to reserve your spot. Payment plans available, please inquire. Transfer to and from Xoxocotlán (OAX) International Airport (only during the scheduled retreat, if you arrive early or leave late we can help you organize transportation to/from the airport). We will be staying at a quaint, private B&B in the heart of the city. You will love this beautiful colonial home and gorgeous garden. Learn from the masters, as we venture into communities that continue to practice ancient, traditional art forms. 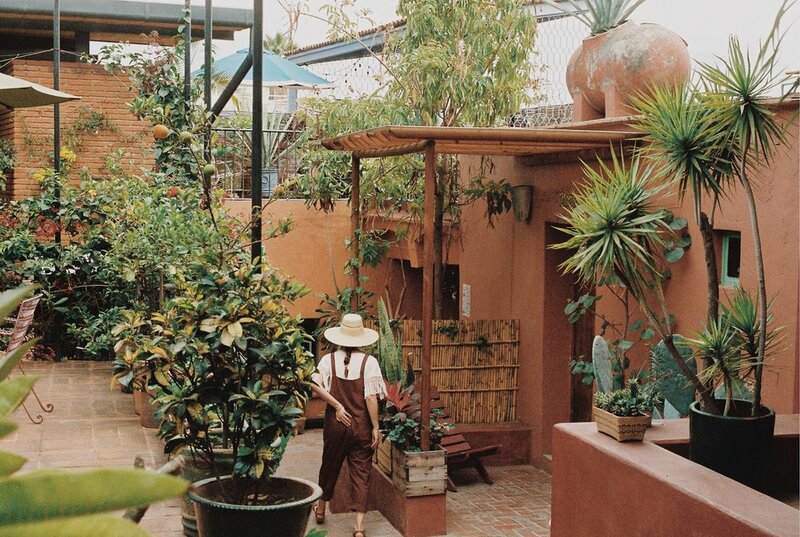 We visit the homes of traditional artisans for hands-on, interactive workshops including natural dyeing & weaving, pottery, ceremonial candle making, and the art of Mezcal distillation. We connect with local families, sharing meals and stories around the table in their homes. We believe reflection deepens learning and strengthens community. Reflecting on our shared experiences creates pathways for rich and inspiring dialogue and exchange. We invite you to participate in individual and group reflections, journal prompts, sharing circles, and conversations with guest lecturers. Experience the Spirit of Oaxaca through ceremony and traditional rituals led by local ceremonial women. We invite you to gather in community for a Cacao ceremony, Altar y Barro rituals, and Ofrendas in our retreat home. Daily movement and meditation offerings allow you to wake up with ease and process the many experiences in stillness. Movement offerings include; hatha yoga, pranayama, lymphatic self-massage and more. Together we create a sacred, safe space to nourish our body, mind and spirit. Travel insurance: we require all participants to have proof of travel insurance before departure. You are responsible for acquiring your travel insurance. It is mandatory that all attendees obtain travel insurance with a minimum coverage of $200,000 USD that covers personal injury, medical expenses, loss of or damage to luggage, repatriation expenses, and emergency evacuation expenses. Vera is an applied linguist, teacher, advocate, and social entrepreneur. 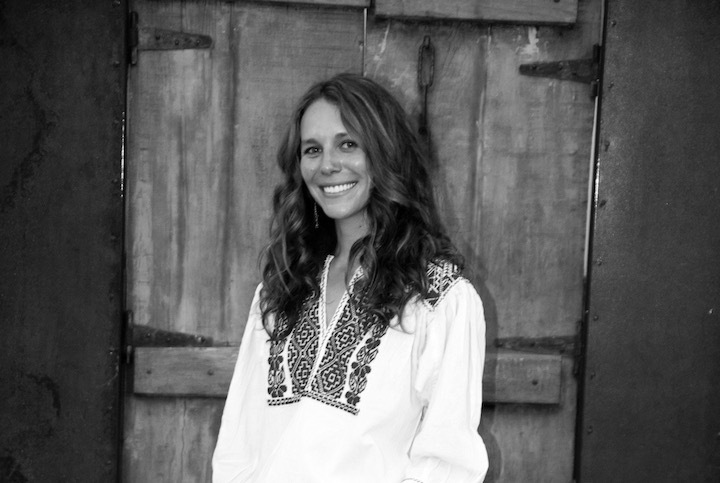 In 2016, Vera founded Cosa Buena in Oaxaca, Mexico. Through Cosa Buena, Vera provides socio-economic support and educational opportunities in local artisan communities in Oaxaca. Vera is an accomplished academic with extensive experience in community-based education. Her research is focused on critical pedagogy, and empowering marginalized communities through language, literacy, and learner-centered pedagogies. For her master’s thesis she designed a narrative-based curriculum in collaboration with female Indigenous artisan cooperatives in Oaxaca. This work has expanded into an oral histories project that is working to develop bilingual written resources to help these communities share the history and profundity of their craft and culture with outsiders. Vera has been invited to present her work at several local and international academic conferences. Vera’s love of language and culture has taken her to over 40 countries, and helped her to acquire Spanish as a second language. She has lived abroad in New Zealand, Chile, and Argentina, and currently splits her time between San Francisco, California and Oaxaca, Mexico. Mariana is an artist, visionary and educator native to Coyoacan, Mexico. Currently residing in the Valley of Ojai, California, Mariana shares her work under the wingspan of Easy To Breathe. In 2015, she founded her small business entrepreneurship offering her ceramic art work, cultural, educational offerings and series of women’s circles and ceremonial gatherings. Mariana’s work is rooted in the core principle of recognizing ethnicity in our own understanding and identity of Self in society. As a student of her Mexica lineage, Mariana is a cultural interpreter, ancestral craft educator and language translator in retreats and ceremonies in Mexico and United States. Since moving to the U.S, Mariana has studied various art forms as a healing modality for expression as Art Therapy. Mariana has been teaching ceramics and art therapy since 2008, starting at Bitter Root Pottery Studio and Westland School in Los Angeles, CA, and later developing pottery courses for children and adults in her ceramics studio in Ojai. Mariana believes in the overall well-being benefits and impact of participating in intentional, ethically driven community-immersive experiences. Alongside her influence in art therapy, linguistic anthropology and indigenous education, Mariana is a women’s community facilitator, plant medicine practitioner, photographer and film maker currently directing a series exposing Ancestral Artisan and Medicine Women around the globe through her documentary film project, Ser Mujer. Her path has led her to working abroad with indigenous communities in Cambodia, Fiji, Bali, Morocco, Mexico and more frequently now in the Valley of Oaxaca. Without a doubt, one of the greatest expressions of Oaxacan culture is the food. Wonderful pairings are created with ancestral beverages and locally grown crops. The unique combination of flavors in Oaxacan cuisine are comprised of cheeses, seven types of mole, stewed meats, tlayudas, memelas, traditional soups, sweet breads, chapulines (grasshoppers), tamales, and fruit ice creams. In Oaxaca, indigenous artistic expression is a vibrant part of life in the pueblos that surround the main city. Many of the communities in these pueblos still practice traditional ancient art forms that have been passed down over thousands of years. Traditional craft and folk art such as alebrijes, textiles, ceramics, and beautiful embroidery can all be found in the Central Valleys. In Oaxaca’s markets an explosion of colors, flavors, and aromas come together. As you wander through the markets you can find traditional foods, (mole, cheeses, coffees, atole, tamales) fresh fruits and vegetables, herbs and spices, crafts, textiles and so much more. There are around 4000 known archaeological sites in Oaxaca. 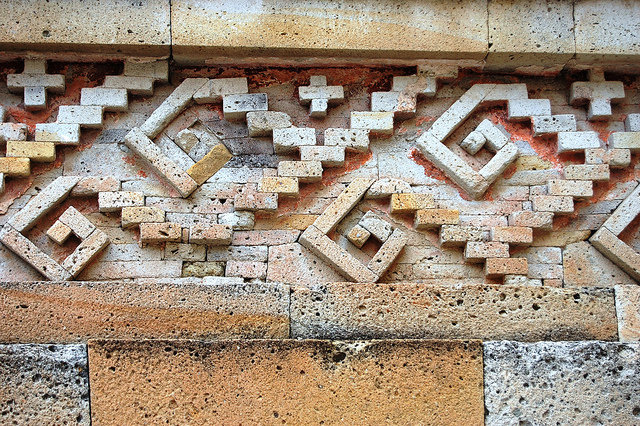 Monte Álban and Mitla are two of the most important settlements for the Mixtecs and the Zapotecs and forged the beginnings of present day Oaxaca. 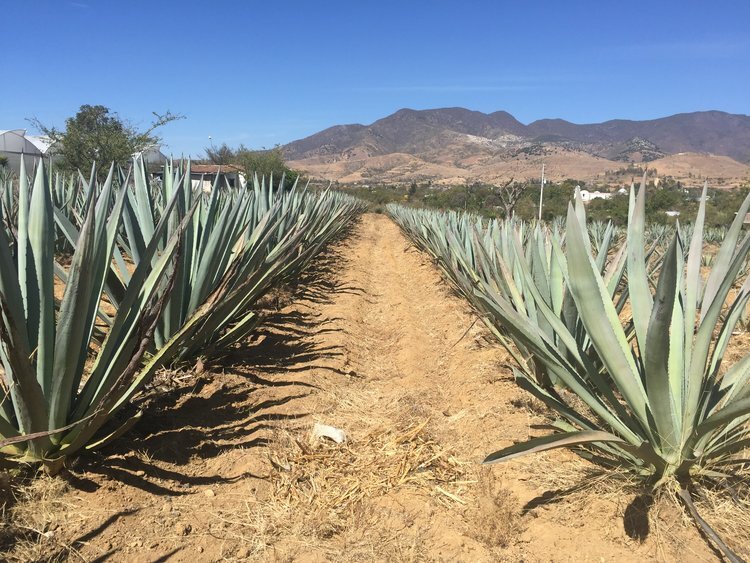 Distilled from the Maguey (agave) plant, Mezcal plays an important role in Oaxacan identity. The art of Mezcal can be experienced in various mezcalerias and palenques where you can taste the aromas and flavors which tell its story. 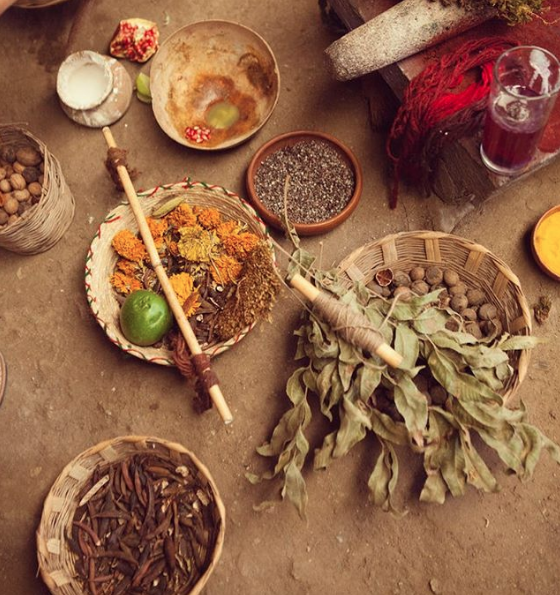 A visit to Oaxaca is not complete without tasting a traditional mezcal created by experts. Oaxaca has a rich history and culture of artistic expression. 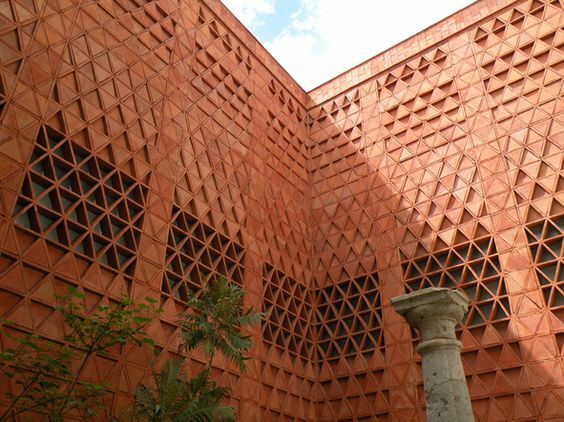 The city center has several museums and galleries that host exhibitions and works from regional, national, and international artists.